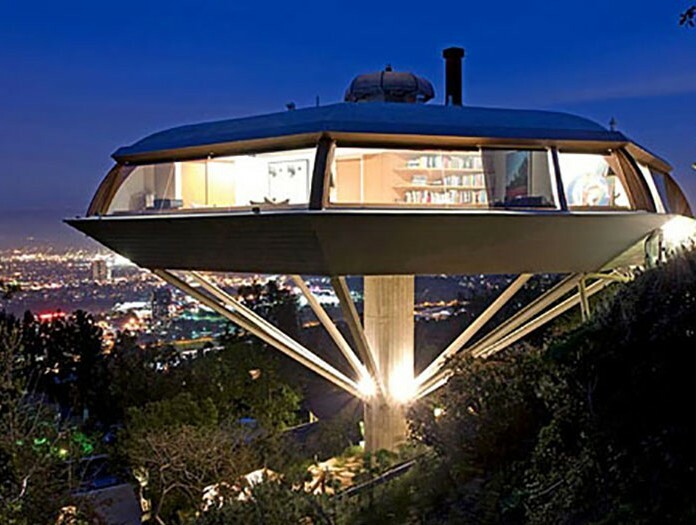 John Lautner practiced for over 50 years, designing more than 200 buildings. 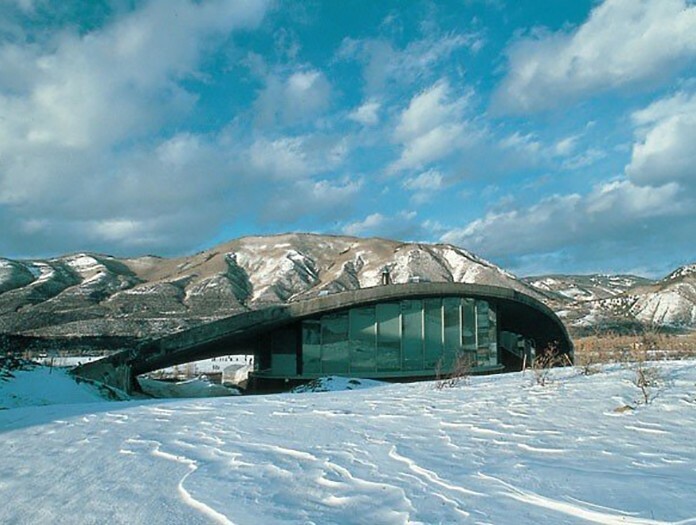 Only about a dozen are outside of California, including the Turner house, just outside of Aspen, which is considered one of his most important designs. Lautner was raised in an artistic family. His mother encouraged him to study architecture with Frank Lloyd Wright. 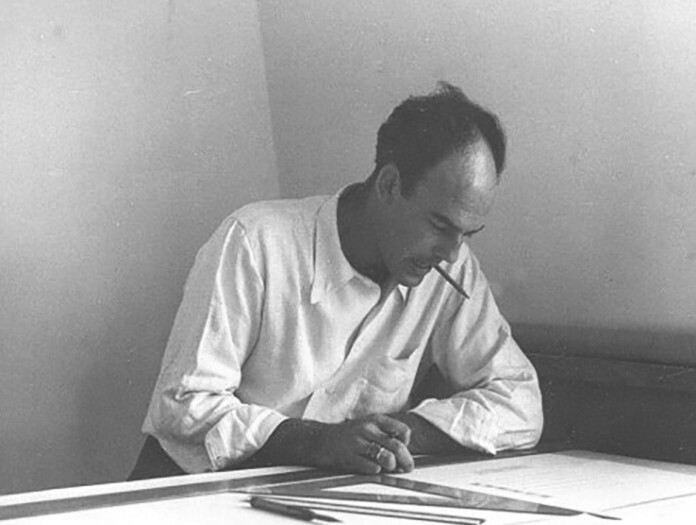 He apprenticed at Taliesen and Taliesen West from 1933 to 1939 and supervised numerous significant projects. He left the Fellowship to start his family and his own firm in Los Angeles, though he continued a working relationship with Wright for several more years. Lautner’s own work received significant recognition and was regularly published in popular and professional publications in the 1940s and 50s. Lautner became associated with a style of architecture known as “Googie,” (cantilevered structures, upswept rooflines, and Space Age imagery), after he designed the iconic Googie’s Coffee House in Burbank, however, his innovation in building form and groundbreaking use of concrete is best highlighted in many of his residential projects. His association with the famed architectural photographer Julius Shulman helped to familiarize a wide audience with his work. 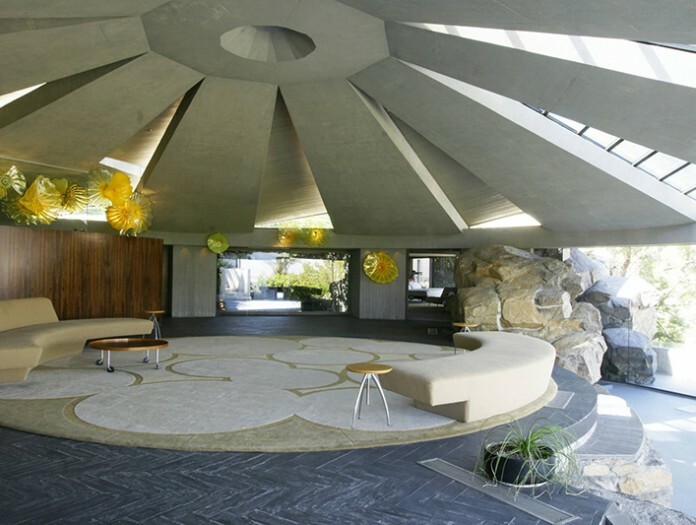 His Elrod house in Palm Springs was featured in the James Bond movie, Diamonds are Forever.